Fiber Internet is Coming to Porterville! 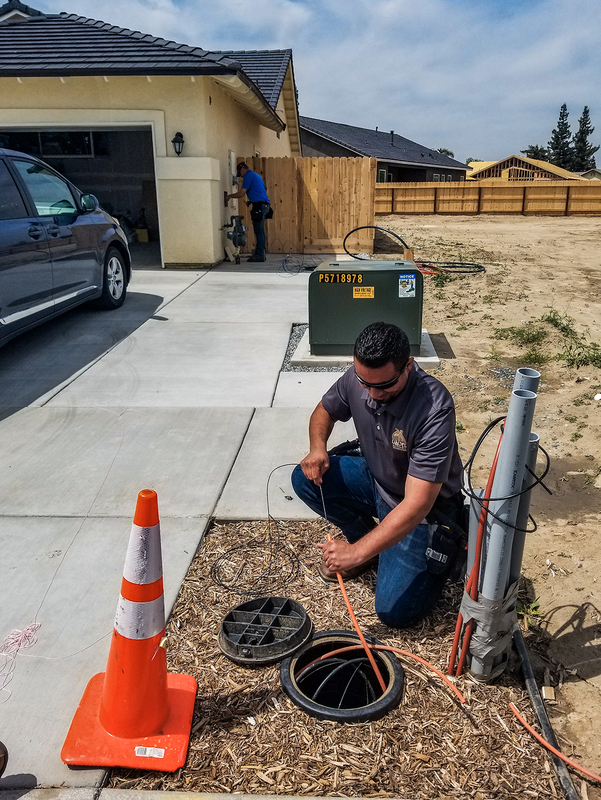 We have been working relentlessly in preparation to serve neighborhoods in Porterville with Gigabit Fiber. We have a subdivision already served with Fiber Internet, and others in the pipeline. 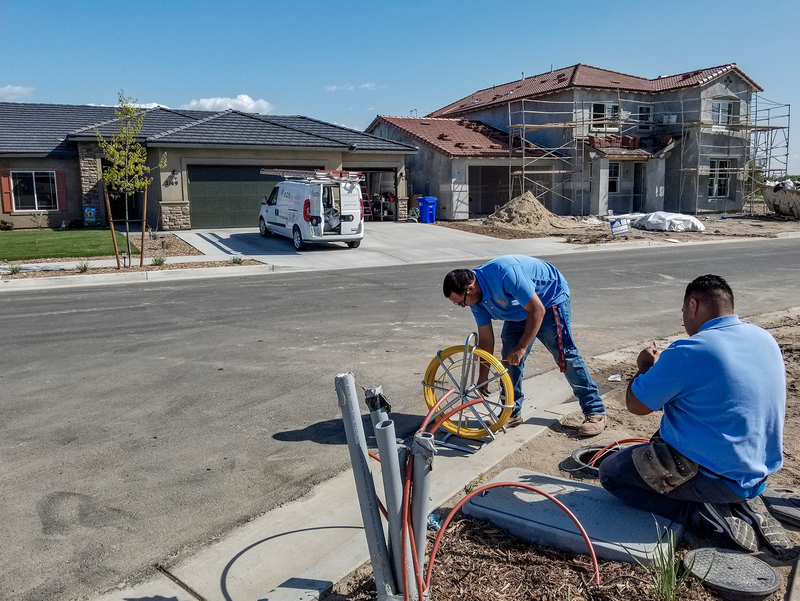 We are giving Porterville the option to get the only fiber to the home (FTTH) Internet connections that will deliver consistent and reliable speeds up to 1 Gigabit (1000Mbps). Cable and DSL providers have been able to advertise high connection speeds, but with peak time slowdowns and outages the consistency just isn’t there. Unlike services provided via copper lines from cable and phone companies, fiber is the best medium for delivering the highest capacity connections, at 1 Gigabit, 10 Gigabit and higher, for decades to come. Cable and DSL companies can’t make that claim. Installing Fiber Internet to your neighborhood will future proof your Internet connection. So, how do you get Fiber Internet? First, visit www.oacysfiber.com. Plug in your address and take the survey which shows us you are interested in getting the best Internet in Porterville. Talk to your family, friends and neighbors and let them know the more interest that is shown in your area, the sooner we begin building out our Fiber network. Fiber is a long-term investment and the buildout doesn’t happen overnight, which is why we are encouraging those who are interested in getting service to work with us in helping spread the word. We will build to the areas with the most interest first, ensuring the investment can be supported. We intend to provide Fiber and Gigabit speeds to 100% of Porterville, but where it is available first will be determined by you. If you think getting the fastest, most reliable Internet connection in town – backed by the best local customer service around – is exciting enough, don’t miss out on our Champion program to get even more benefits! Champions are individuals that will work closely with our sales department to help spread the word inside their neighborhood. Champions will receive door hangers and info cards to pass out, and can also be a point of contact for their neighborhood to help gather enough interest in the area to ensure they are at the top of the list for our build out plans. We are excited to begin this process with the community. We know what great benefits FTTH will bring to both residential and business customers and we will continue to post updates as progress is made and new service zones are being added along the way. If you have any questions about FTTH, what Gigabit speeds can do for you, or our Champion campaign, don’t hesitate to reach out to us. We look forward to answering any questions you may have as we work together to build Porterville into a Gigabit Fiber community. Be sure you follow us on Facebook and Instagram to stay in the loop on all the latest news and updates on the progress of this project. We will continue to announce new zones throughout Porterville where our Fiber Internet will be available next! ← Employee Spotlight Series – Meet Ryan & Joslyn!